Motorola Droid Reviewed | Android Blast! 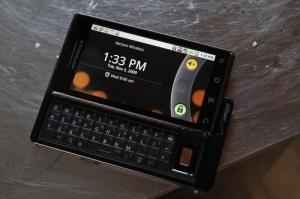 The Motorola Droid has a lot of fans and Gizmodo is one of them. Gizmodo has published a nice review of the Droid. "t's this simple: If you don't buy an iPhone, buy a Droid. It's the best phone on Verizon, and with Android 2.0, the second best smartphone you can buy, period. It's flawed, deeply in some ways. But it's the second best phone around, on the best network around."